You can explore this website by using the menu of topics on the left. To keep in contact, please visit our Blog. Below, there are lists of new items added in recent years. Please note also that this site now has a search facility (above). If you type in a word or phrase you will find that the first two or three items brought to your attention by Google are advertisements from around the Internet. But from then on everything will be from this website, and hopefully will be of relevance and use to you. If you'd like to stay in contact and receive updates, news items and occasional comments, please click here. 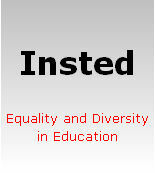 This will bring you to Insted's blog. Please then click 'Follow' and enter your email address. An updating news item will then come to your inbox from time to time.